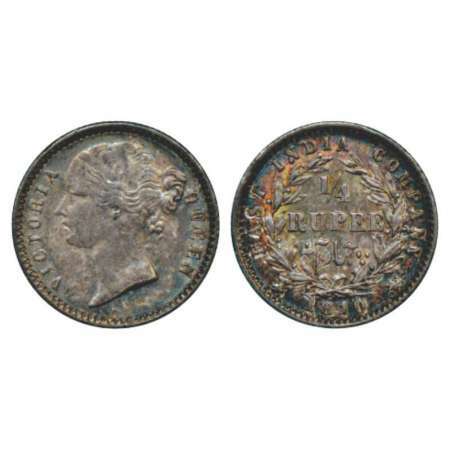 William IV, copper 1/12 anna, 1835, Madras mint, 13 berries, PR 161; GK 75-79. 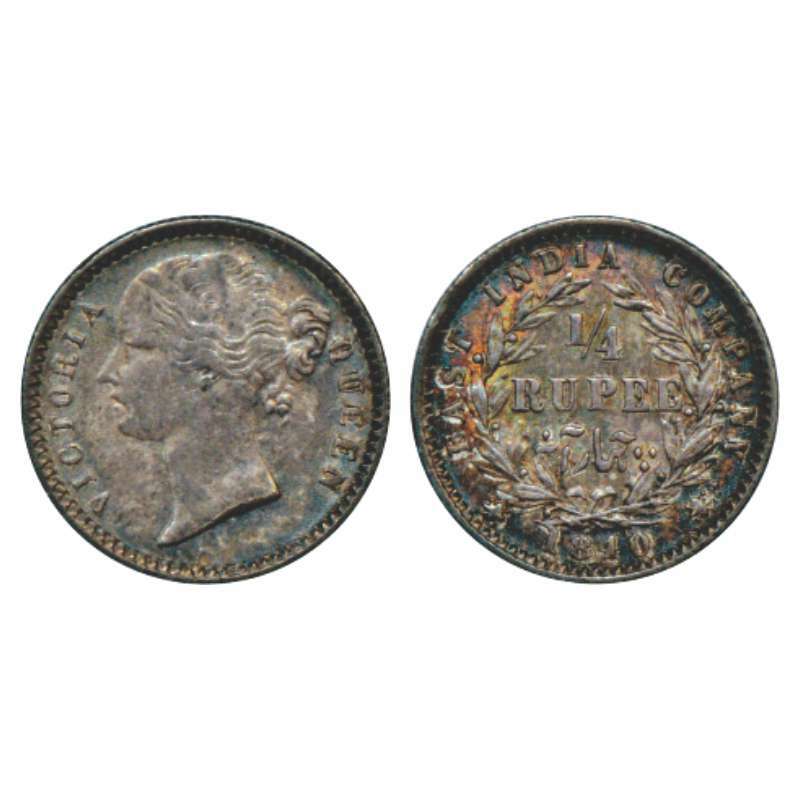 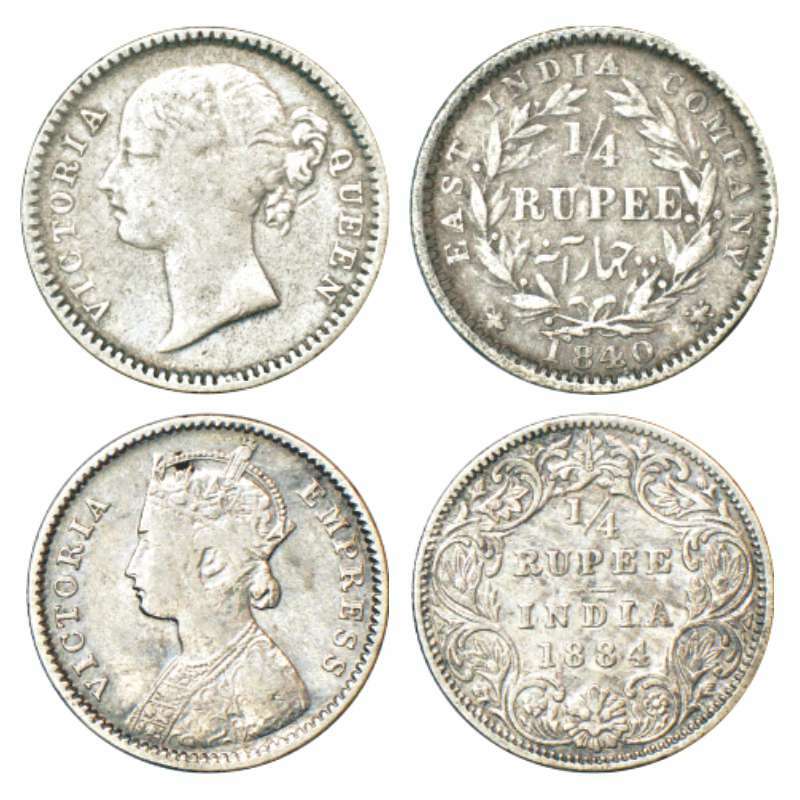 Victoria Queen, continuous legend, silver ¼ rupee, 1840, Calcutta mint, Indian head, 34 berries, crescent, PR 103; GK 126. Graded as MS63 by NGC, Rare. 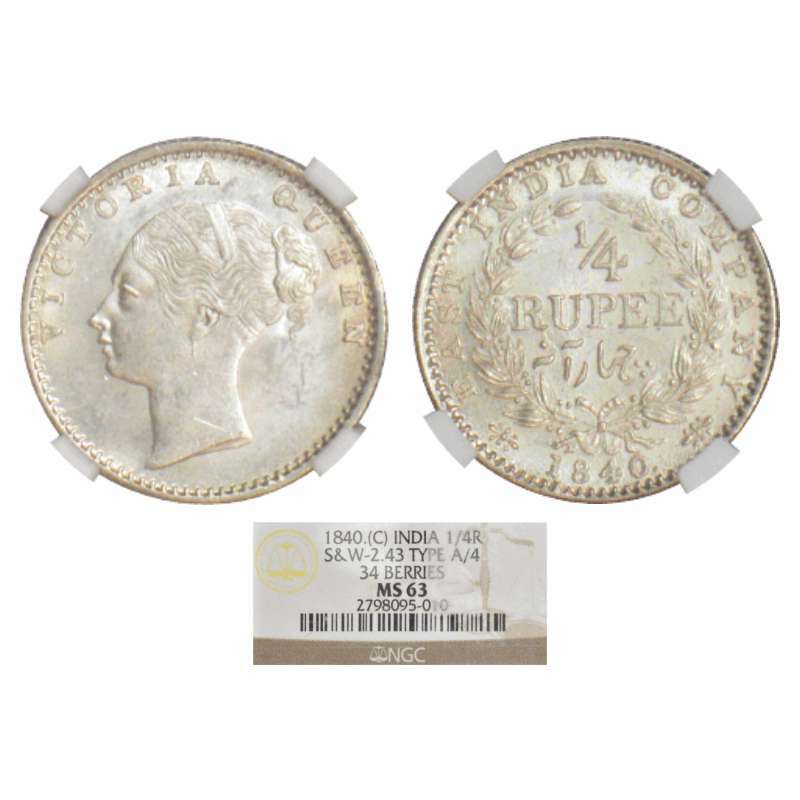 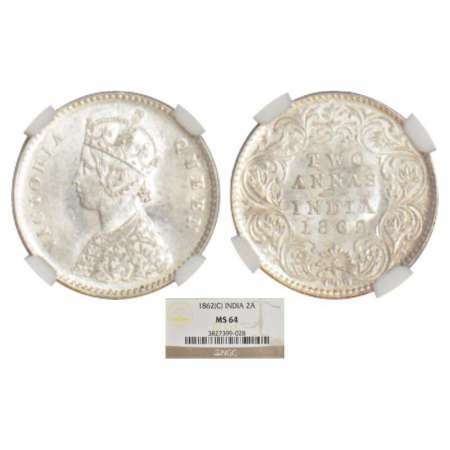 Victoria Queen, divided legend, silver ½ rupee, 1840, Calcutta mint, W.W. incused, 24 berries, PR 80; GK 189. 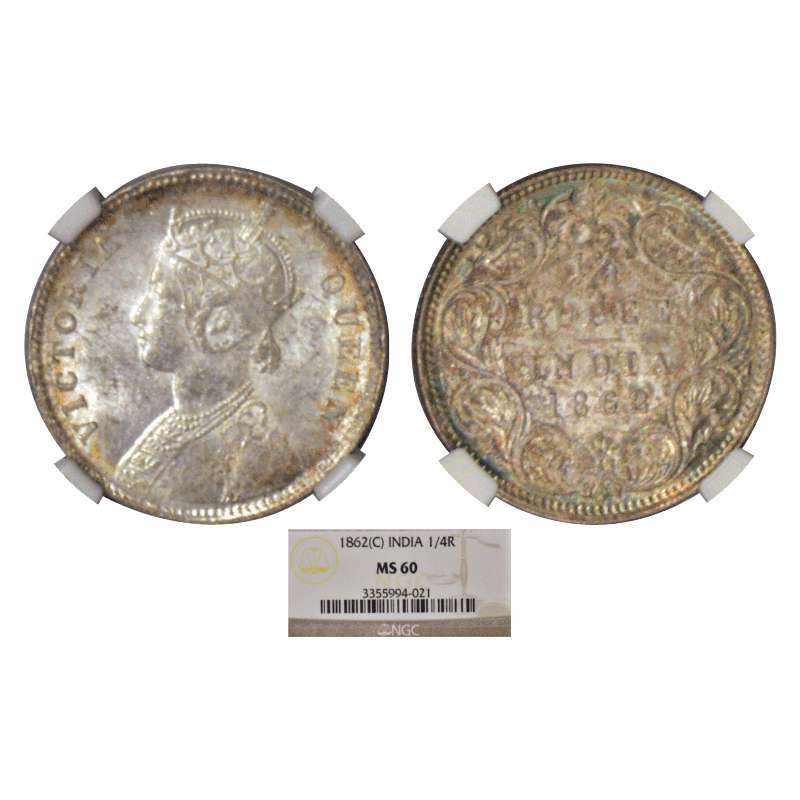 Graded as MS63 by NGC, Very rare in this grade. 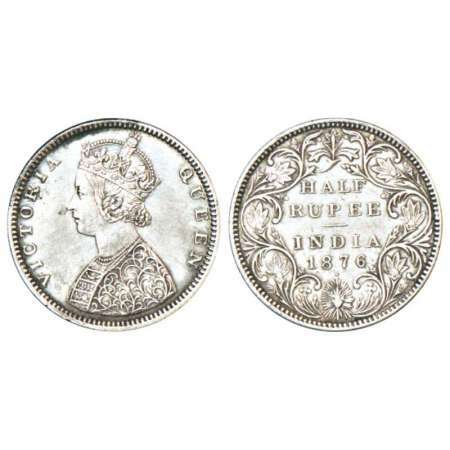 Victoria Queen, divided legend, silver ¼ rupee, 1840, Calcutta mint, W.W. raised, 10 berries, cross bar of numerical 4 without serif, PR 105; GK 197. 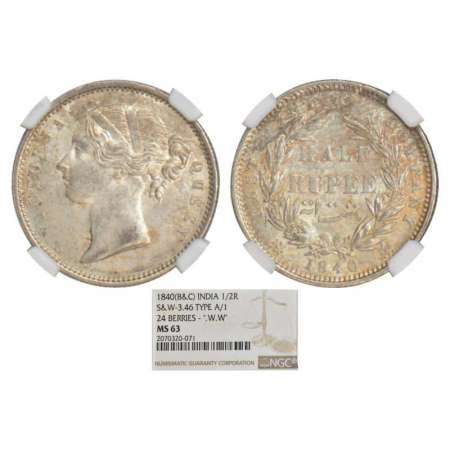 Graded as MS63 by PCGS, Rare. 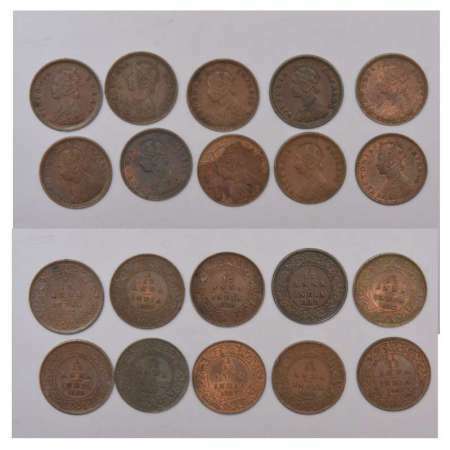 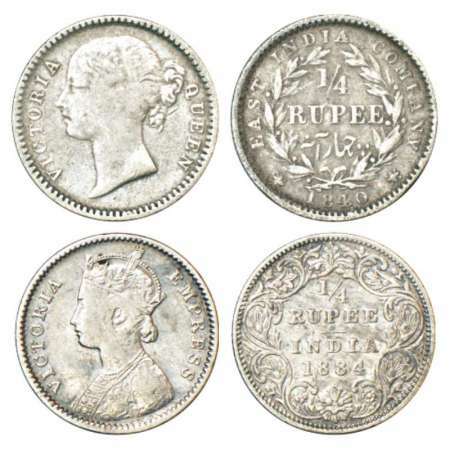 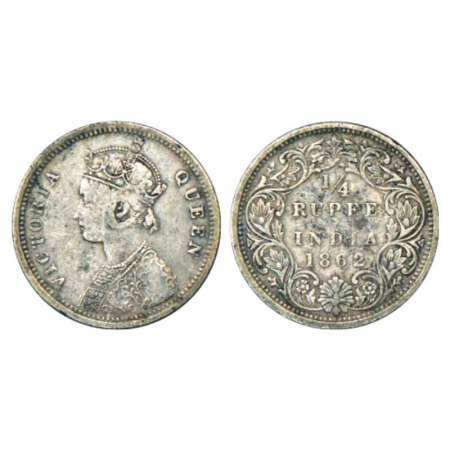 Victoria Queen/Empress, silver ¼ rupee (2), 1x, 1840, divided legend, Bombay mint, W.W. raised, 10 berries, PR 107; GK 203 and 1x, 1884, Bombay mint, B/I/'B' raised, PR 416; GK 695. Victoria Queen, continuous legend, silver 2 anna, 1841, Calcutta mint, a lock of hair between hair ribbon, 16 berries, PR 115; GK 135. Graded as MS62 by NGC, Very rare. 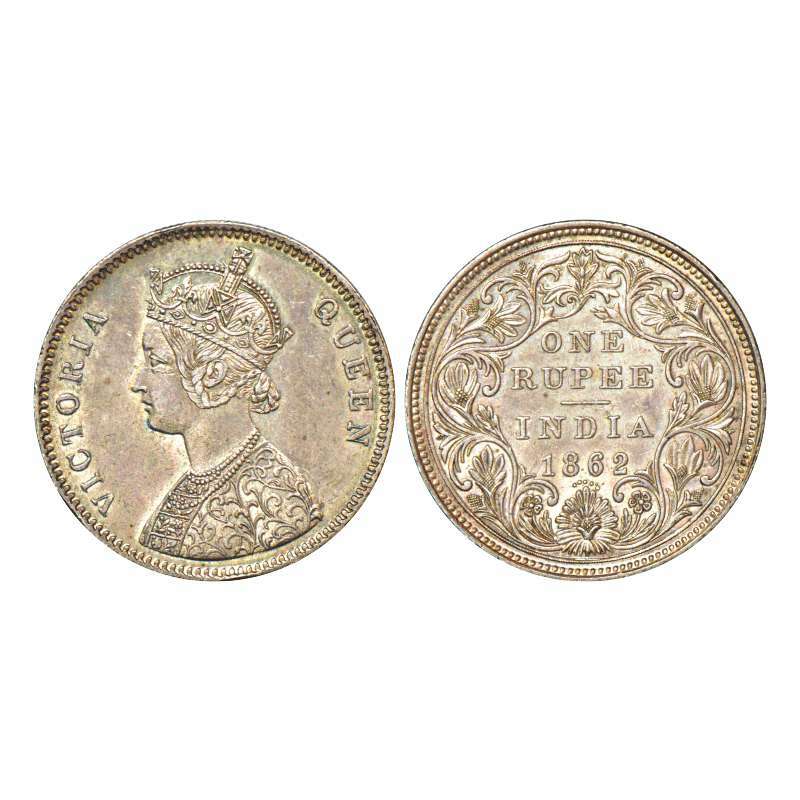 Victoria Queen, divided legend, 1841, Calcutta mint, A/II, W.W. raised, 9 berries, PR 123; GK 216, S&W 3.64. 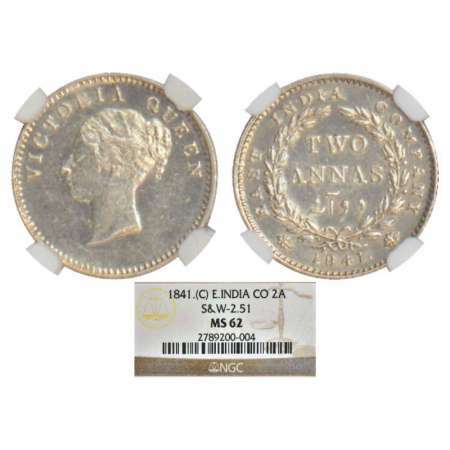 Graded as MS62 by NGC, Rare. 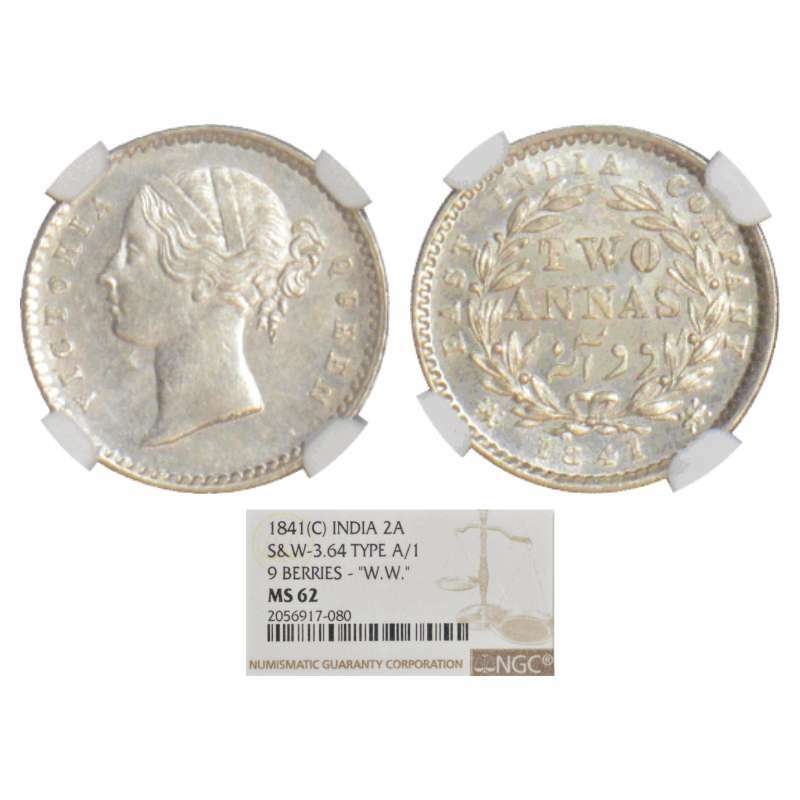 NGC graded label written as A/I but it is A/II. 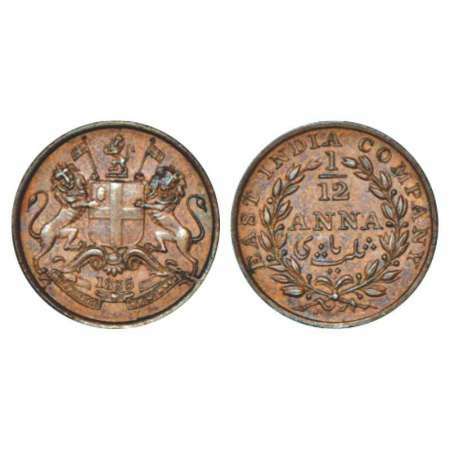 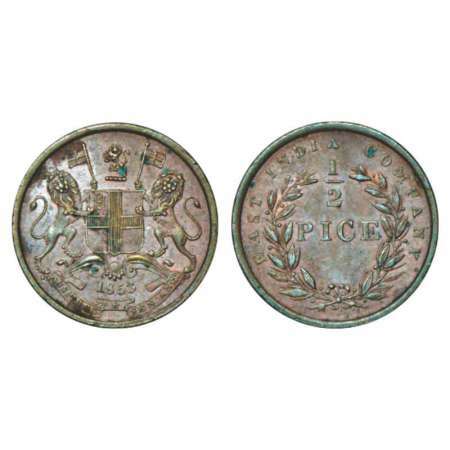 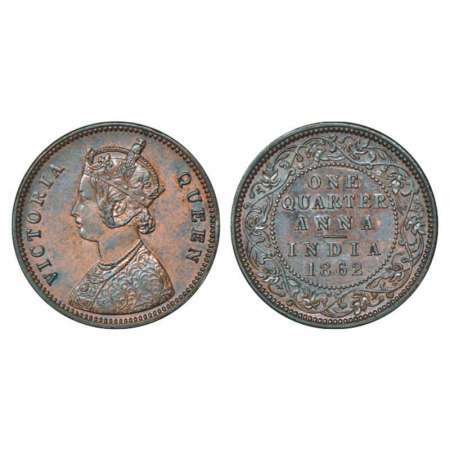 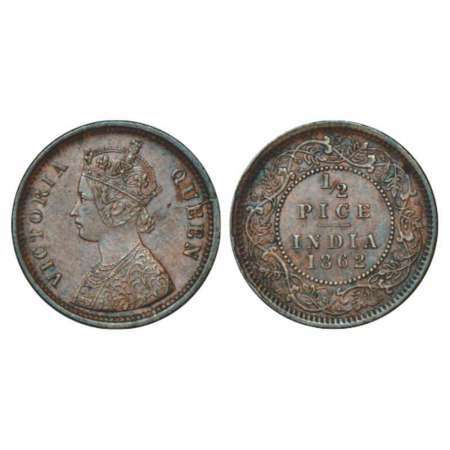 East India Company, Uniform coinage, copper ½ pice, 1853, Calcutta mint, B/I, PR 159; GK 235. 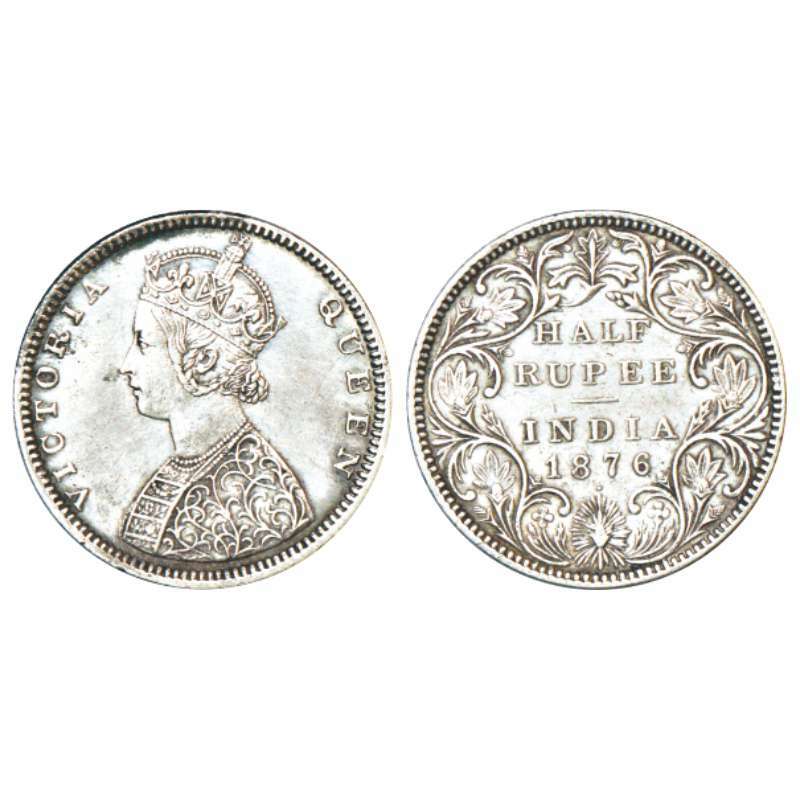 Victoria Queen, silver rupee, 11.64g, obverse brockage (Lakhi) showing retrograde impression of obverse on reverse, Planchet mark. Victoria Queen, silver rupee, 1862, Calcutta mint, A/II/0/0, without intial J, PR 64; GK 252. 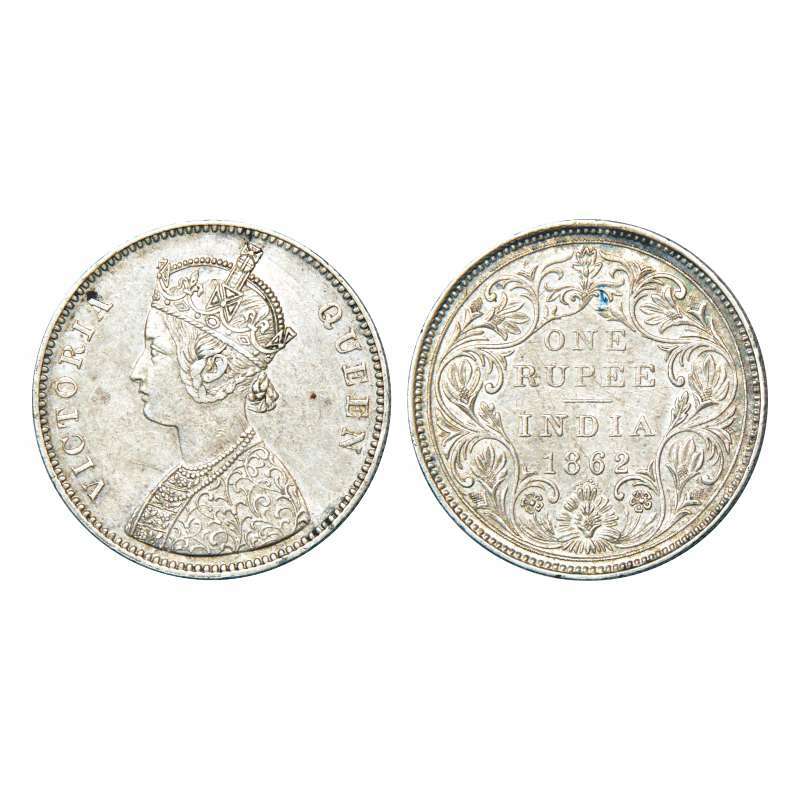 Victoria Queen, silver rupee, 1862, Bombay mint, A/II/0/5, PR 85; GK 316-319. 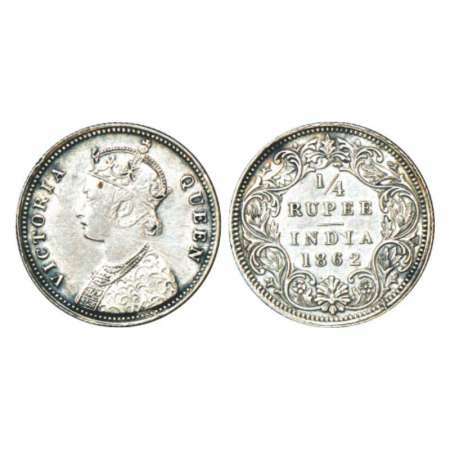 Victoria Queen, silver rupee, 1862, Bombay mint, A/II/0/12, 11th dot below 3rd dot and 12th dot below 8th dot, without intial 'J', PR 100; GK 352. 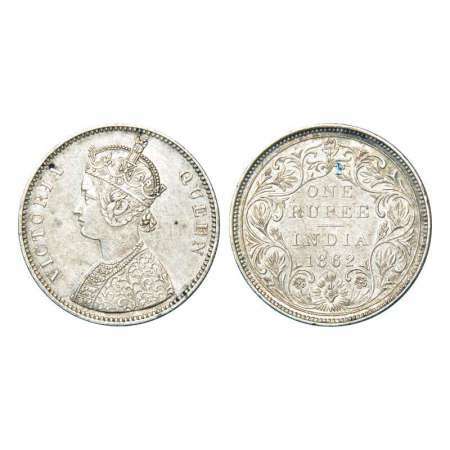 Victoria Queen, silver rupee, 1862, Bombay mint, A/I/1/2, with intial J, PR 102; GK 355. 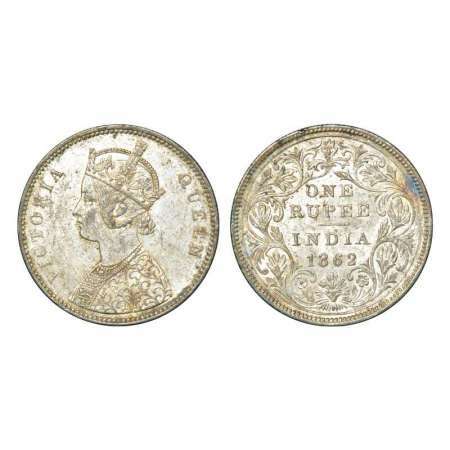 Victoria Queen, silver ¼ rupee, 1862, Calcutta mint, A/I, PR 376; GK 375. Graded as MS60 by NGC, Rare. 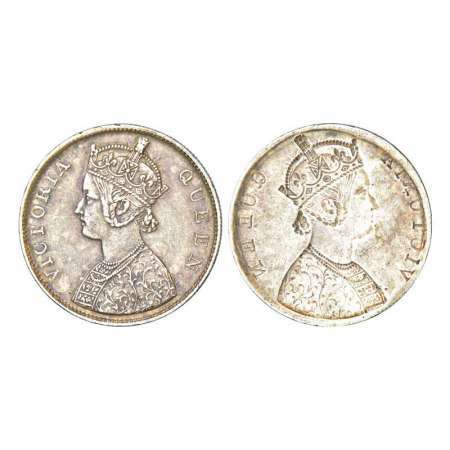 Minor scratches on both sides, Very fine+, Scarce. 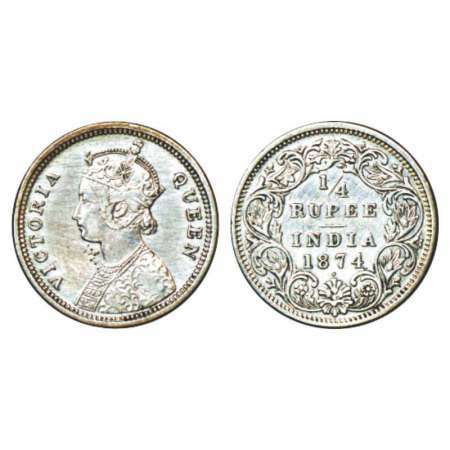 Victoria Queen, silver ¼ rupee, 1862, Bombay mint, A/I/no mm, Error in 'I' of first word of Victoria, read as 1, PR 377; GK 376. 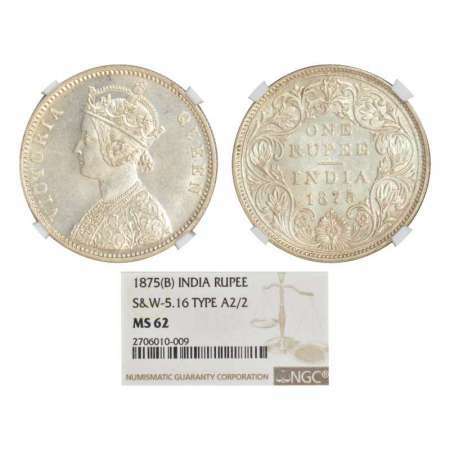 About very fine, Very scarce. 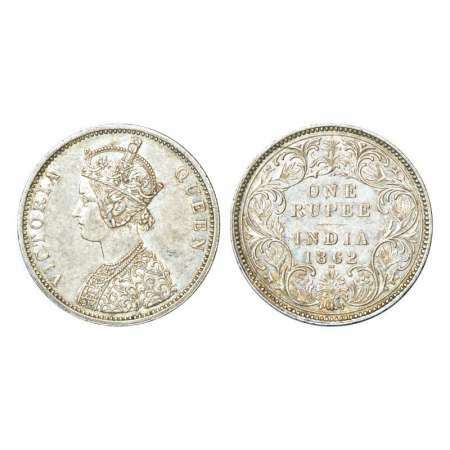 Victoria Queen, silver 2 annas, 1862, Calcutta mint, A/I/no mm, PR 485; GK 380-381. 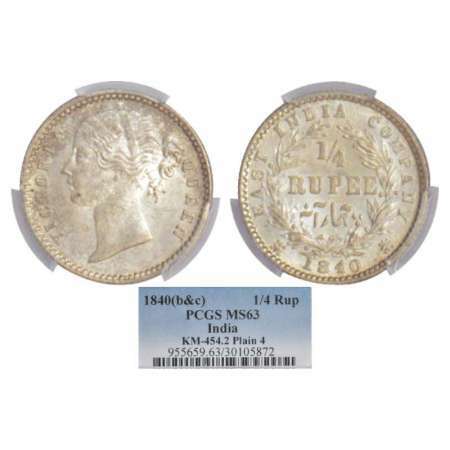 Graded as MS 64 by NGC, Rare. 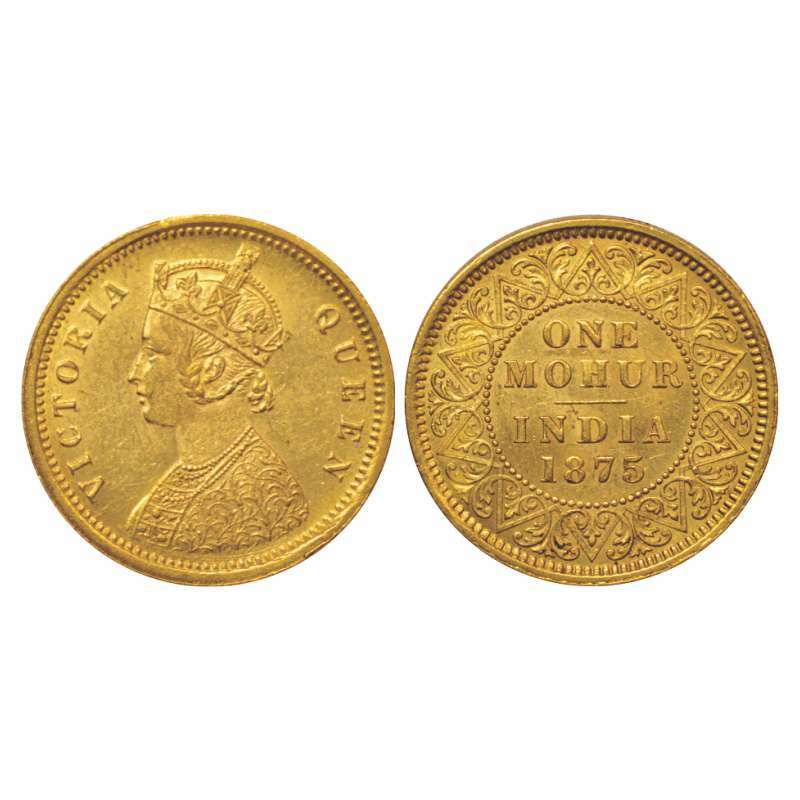 Victoria Queen, copper ¼ annas, 1862, Calcutta mint, A/I/no mm, PR 601; GK 395. Victoria Queen, copper ½ pice, 1862, Calcutta mint, A/I, PR 711; GK 401. Very fine+ to uncirculated, Rare. Victoria Queen, Gold Mohur, 1875, Calcutta Mint, two flower type and 'V' in relief, S&W 5.1; PR 13. 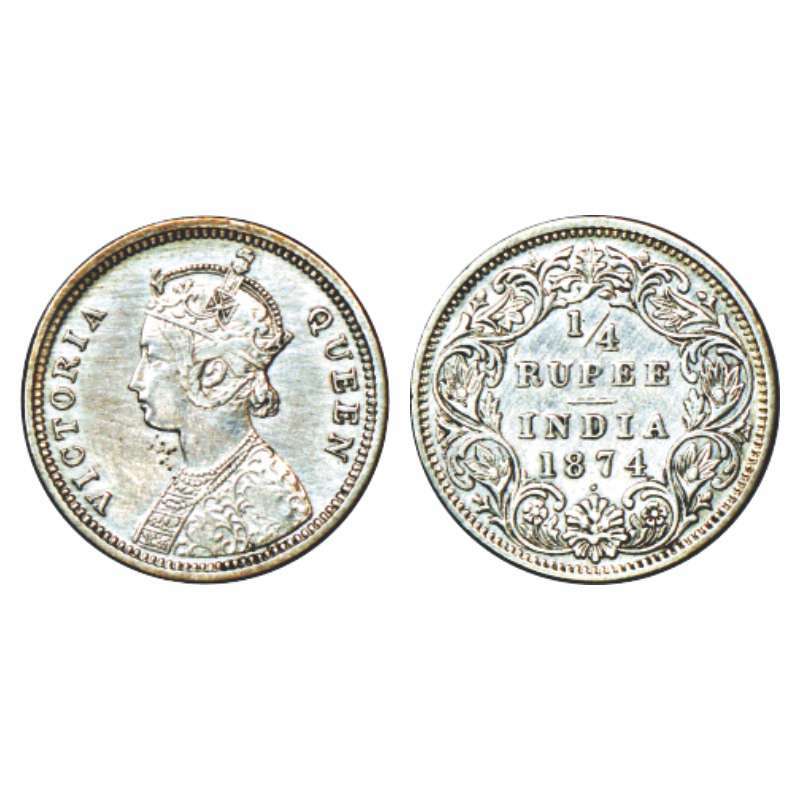 Victoria Queen, silver rupee, 1875, Bombay mint, A2/II/dot, PR 146; GK 423-424. 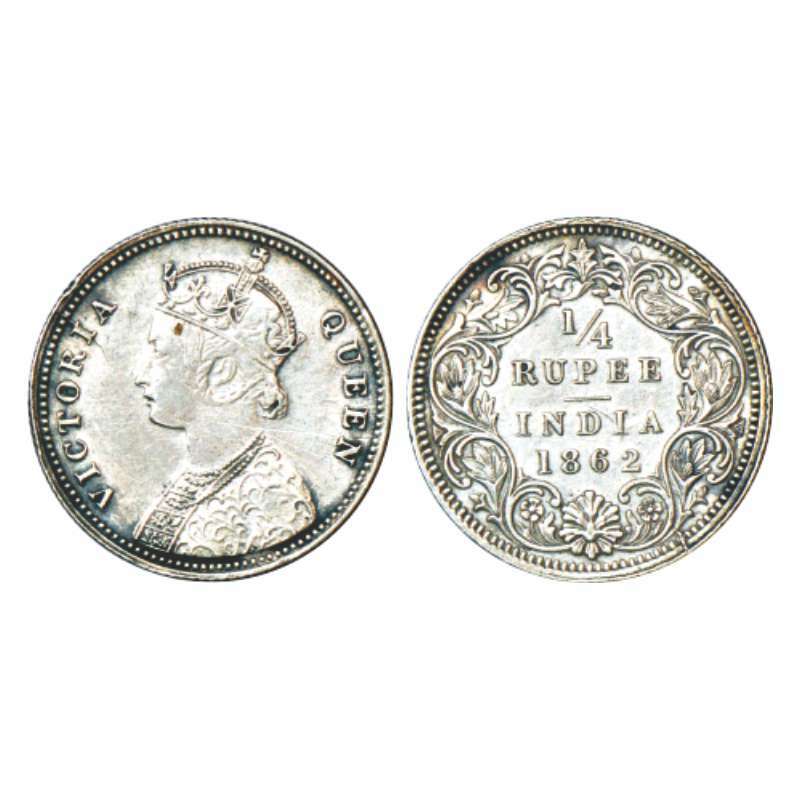 Victoria Queen, silver ½ rupee, 1876, Bombay mint, B2/II/dot, PR 287; GK 606. 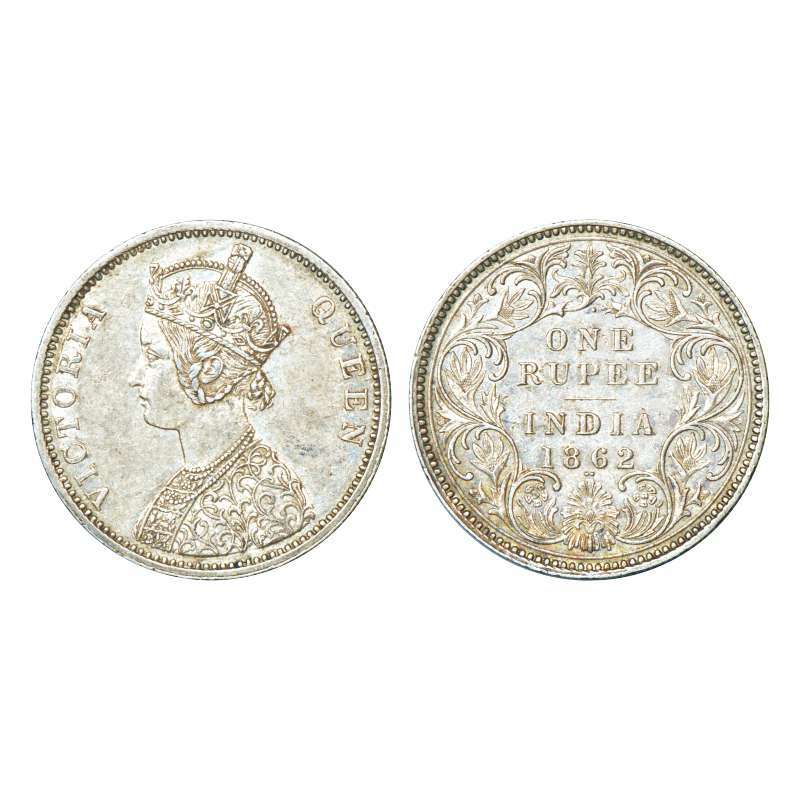 Victoria Queen, silver ¼ rupee, 1874, Bombay mint, A/I/dot, PR 405; GK 664.